This lamp compliments the product family with a sober and more elegant appearance. 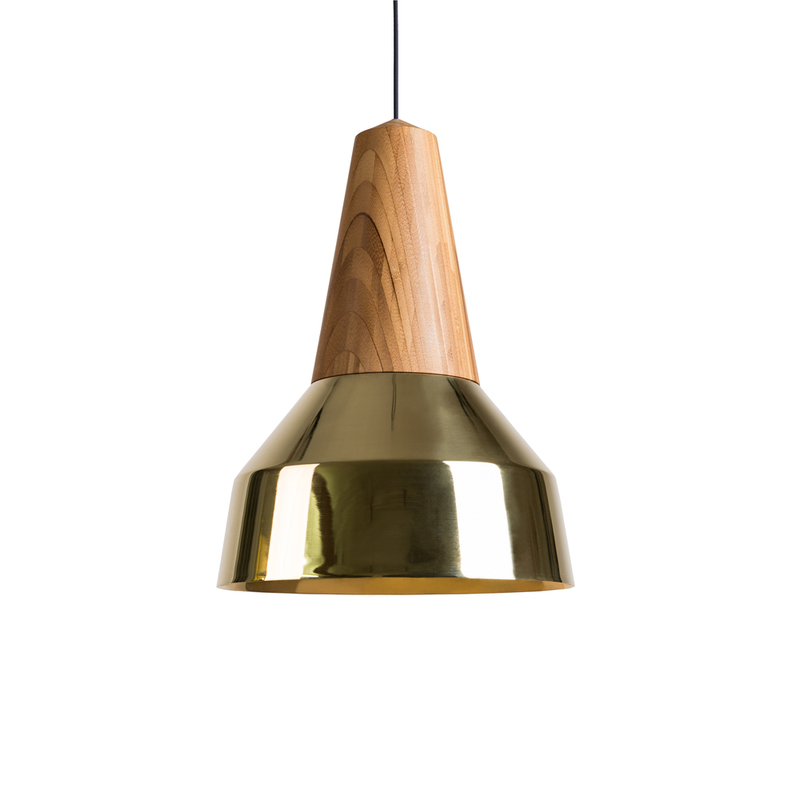 Treated with an additional metal coating, the lampshade has a beautiful golden surface and conveys discreet luxury in composition with the natural material wood. The lighting‘s name hints at the characteristic golden and warm rays produced by the reflecting light at the inside of the lampshade. The feel of the lighting may recall the industrial age but it also has a clean line that gives it a pure and contemporary look.